Thank you for considering St. Benedict at Auburndale High School (SBA) as the next step in your educational journey! For over 25 years SBA has been committed to providing an educational experience that enriches the whole student – mind, body and spirit. 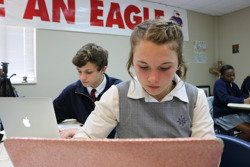 SBA is a coed, college prep, Catholic high school of the Diocese of Memphis, providing the excellence in academics for which Catholic schools are universally known. We offer a challenging college prep curriculum which includes Dual Enrollment, AP classes, Honor Classes in a number of subjects, as well as our signature PLUS (Positive Learning Utilizing Strategies) Program. Students benefit from small classes, our average class size is 18, and experienced and dedicated faculty members who prepare our students to succeed in college by providing the solid foundation necessary for success. The Class of 2014 received acceptance from 97 different colleges and universities and were offered more than $13 million in merit-based scholarships. 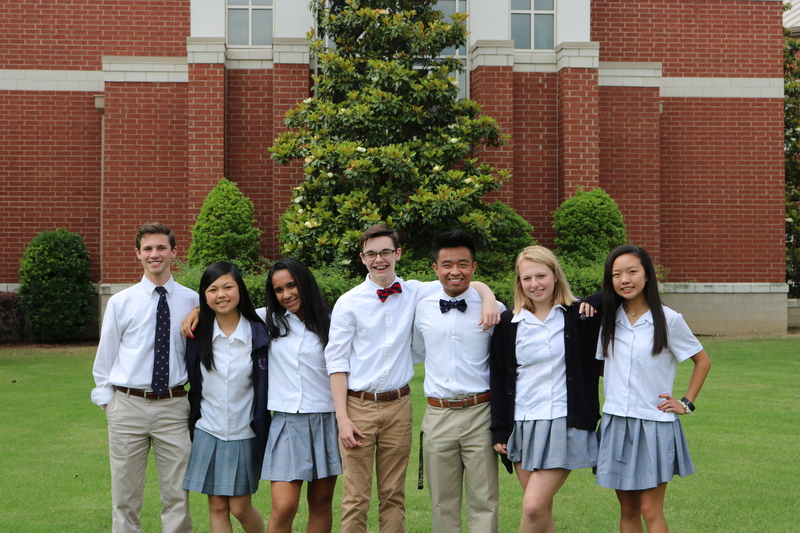 The Class of 2015 received more than $13.5 million in merit-based scholarships. Not only are we preparing our students college we are preparing them for life. Knowing students learn just as much outside of the classroom as they do inside, we encourage students to be active in community service, athletics and other extracurricular activities. With over 50 clubs, organizations and honor societies to choose from and 27 athletic teams there is definitely something for everyone at SBA! At SBA we recognize the importance of selecting an appropriate high school for your son or daughter. We invite you to browse our website to learn more about the admissions process, academic programs, spiritual affairs and student life. You will see an extraordinary community of academics, athletes and artists in a Christ-centered environment. More importantly, we encourage you to experience SBA first hand. There are several opportunities for you to Visit SBA where you will tour campus, experience student life and meet current SBA students and faculty. We look forward to having you on our campus and are here if you have questions! The SBA Admissions Director is Terri Heath and she can be contacted by email at heatht@sbaeagles.org or by phone at 901-260-2873.